You've got dressers and drawers for clothing, baskets for stuffed animals and bins for toys and you often think how nice it would be to have an all-in-one solution… and one that doesn't look like your mother-in-law bought it for you. Explore no more. 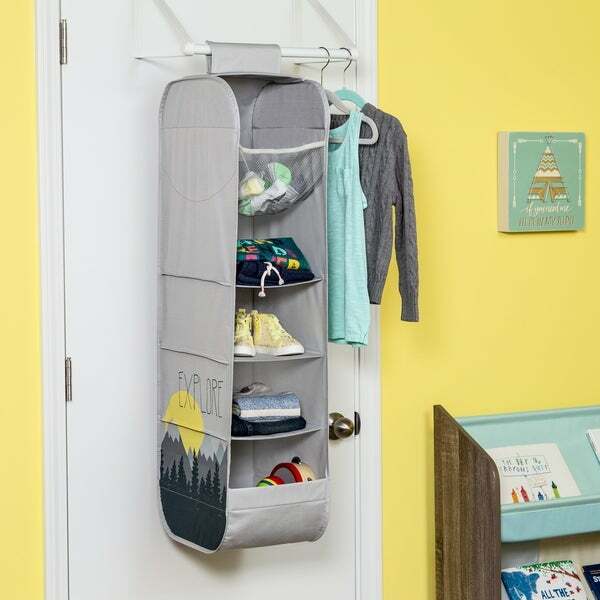 The Honey-Can-Do Explore + Store Collection has the perfect closet organizer with mesh and fabric bins where you can put all those things in one spot, and it's imaginative, adventurous design not only looks good but gives your child that positive message to always continue to explore. You did, and look what you found. Keep looking beyond the horizon. Dimensions 9.5 In. X 13.5 In. X 40.5 In.